With more than 600 victories and seven national championships, the Minnesota football program is one of the greatest in history. Legendary players like Bruce Smith and Bronko Nagurski helped the Gophers dominate Minnesota sports for the first sixty years of the twentieth century. This book provides a look at some of the most memorable players, coaches, and games of the last seventy-five years. From the Golden Era of 1934–41, which included five national titles, Sonny Franck and Bill Daley recall their most memorable games. The Gophers won another national title and went to two Rose Bowls in the early ’60s under coach Murray Warmath and quarterback Sandy Stephens, who became the first black quarterback to earn All-America honors at a major college. Warmath remembers the second Rose Bowl as his most memorable game. 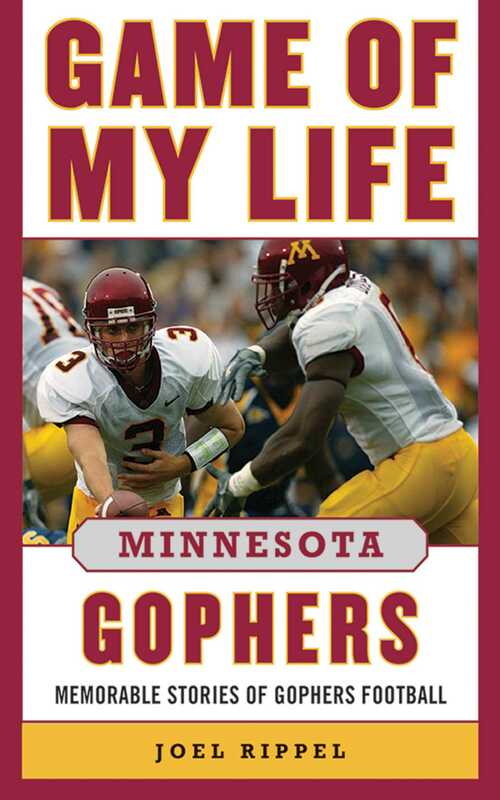 Other memorable Gophers include future NFL legend Bud Grant, future NFL coaching great Tony Dungy, and current Denver Broncos player Eric Decker, all of whom are featured in Game of My Life Minnesota Gophers.